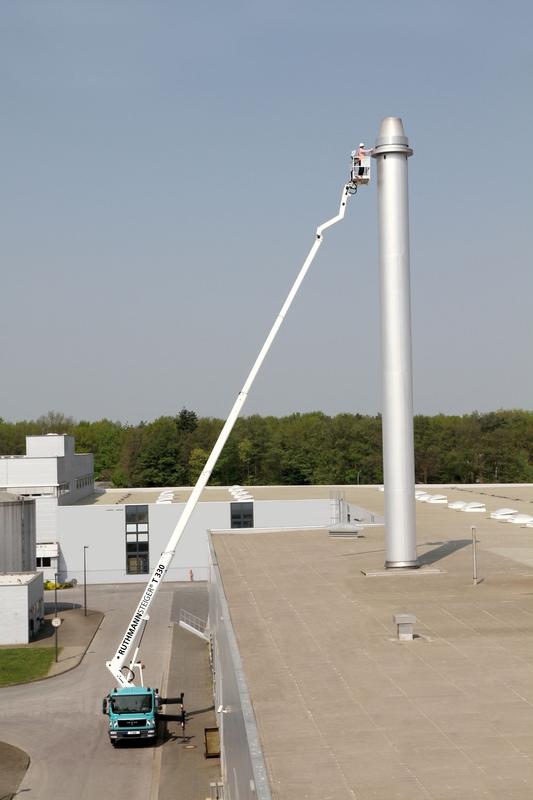 The top-performing world champion, RUTHMANN STEIGER ® T 330, with its sensational 33-metre working height and 21-metre lateral reach, recently made its world debut at CeMat in Hannover, Germany. 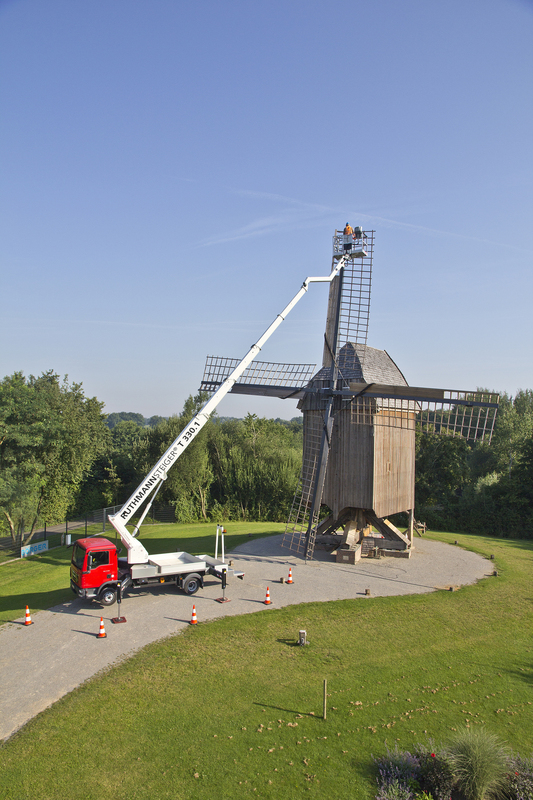 With its impressive lateral reach of 21.2 metres (with 100kg cage load) and versatile jib, the T 330 is able to perform brilliantly behind hard-to-reach objects. The most notable feature of the newly-developed STEIGER ® T 330 is its ultra-modern multi bent profile boom system with a rigid turret that functions independently without any additional hydraulic mechanisms. With a total vehicle length of only 8.79 metres and 3.9-metre wheelbase, the T 330’s dimensions are very compact, despite its exceptional performance data. The cage concept is also totally new A variety of improvements offer workers more space and greater mobility. The generous carrying capacity of 320 kg can accommodate up to 3 people with tools. In addition and equipped as standard the built-in cage cleaning port and the cage tool-storage facilities are very practical in everyday situations. 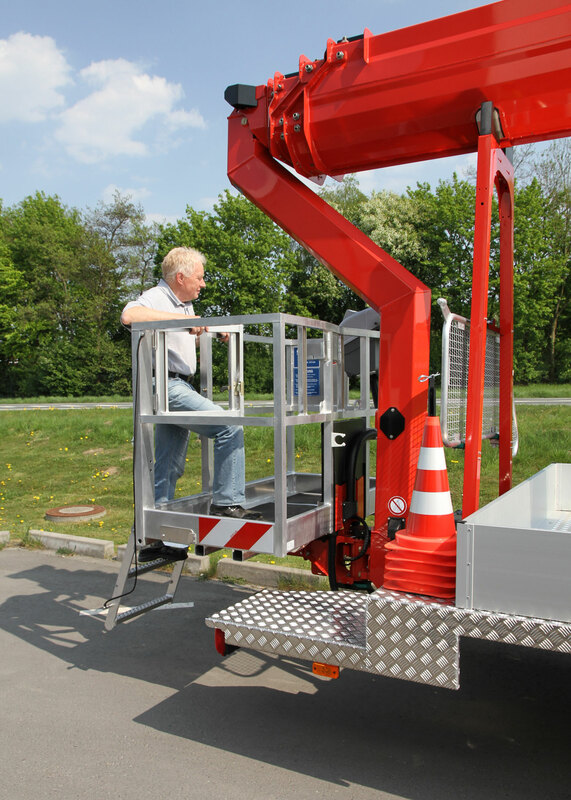 The sturdy 2 x 90° hydraulic cage-rotation device is also very impressive. 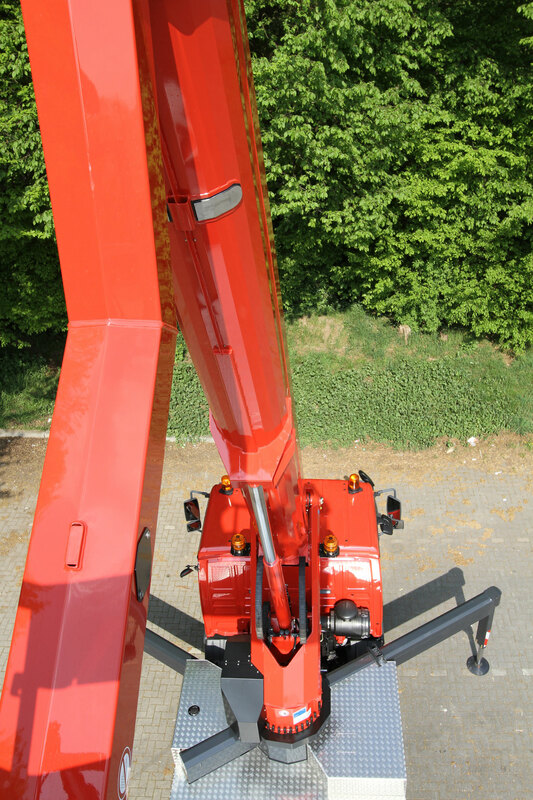 Maximum performance data and optimum handling make the new RUTHMANN STEIGER ® T 330 the pinnacle of perfection in the 7.49 t (and up) truck-mounted aerial platform sector. 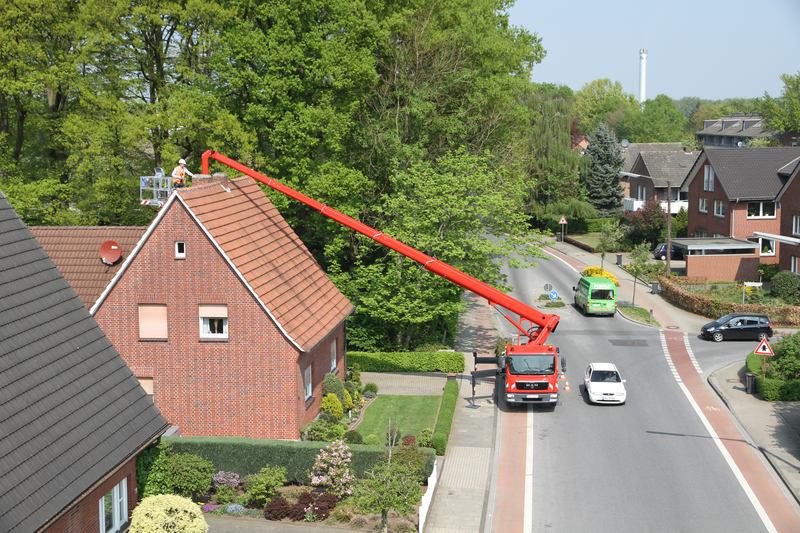 The sensational 33-metre working height and impressive 21.2-metre lateral outreach greatly benefit aerial-platform rental companies, gardeners, landscapers, industrial cleaners and craftsmen. The T 330 permits operators to carry out assignments that once required the implementation of much larger machinery. It is easy to use and courses little instruction time. The most notable feature of the newly-developed STEIGER ® T 330 is its ultra-modern multi bent profile boom system with a rigid turret that functions independently without any additional hydraulic mechanisms. 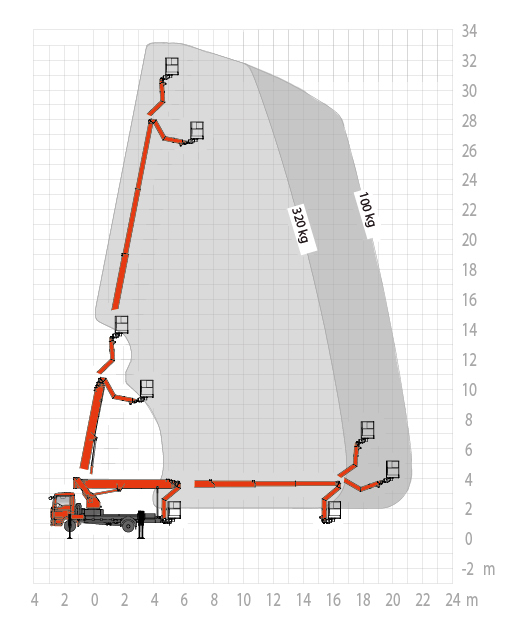 When pivoting, the turret remains within the contours of the vehicle at all times. The T 330 offers maximum stability and usability and is very easy to maintain. 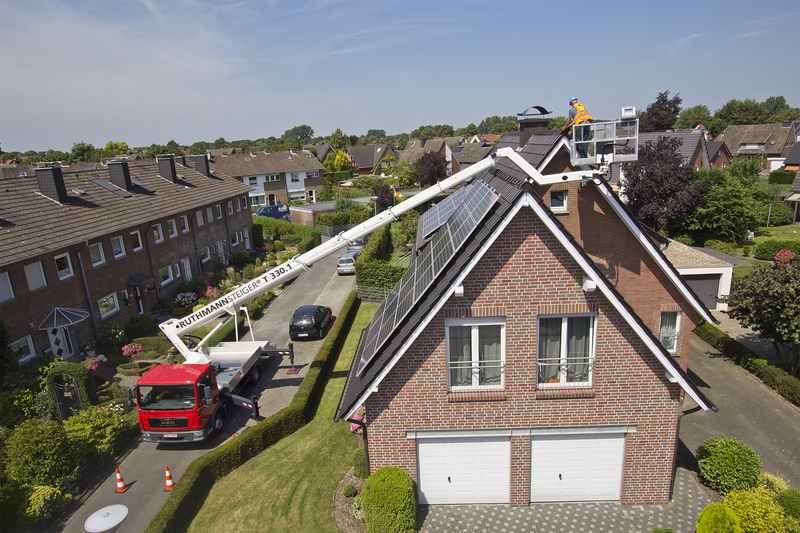 Working heights and lateral reaches are not the only important features on a professional truck-mounted aerial platform. With a total vehicle length of only 8.79 metres and marginal 3.9-metre wheelbase, the RUTHMANN STEIGER ® T 330 is also very impressive in its basic position. The cage concept is also totally new on the STEIGER ® T 330. A variety of improvements offer workers more space and greater mobility. The generous carrying capacity of 320 kg can accommodate up to 3 people with tools. In addition and equipped as standard the built-in cage cleaning port and the cage tool-storage facilities are very practical in everyday situations. 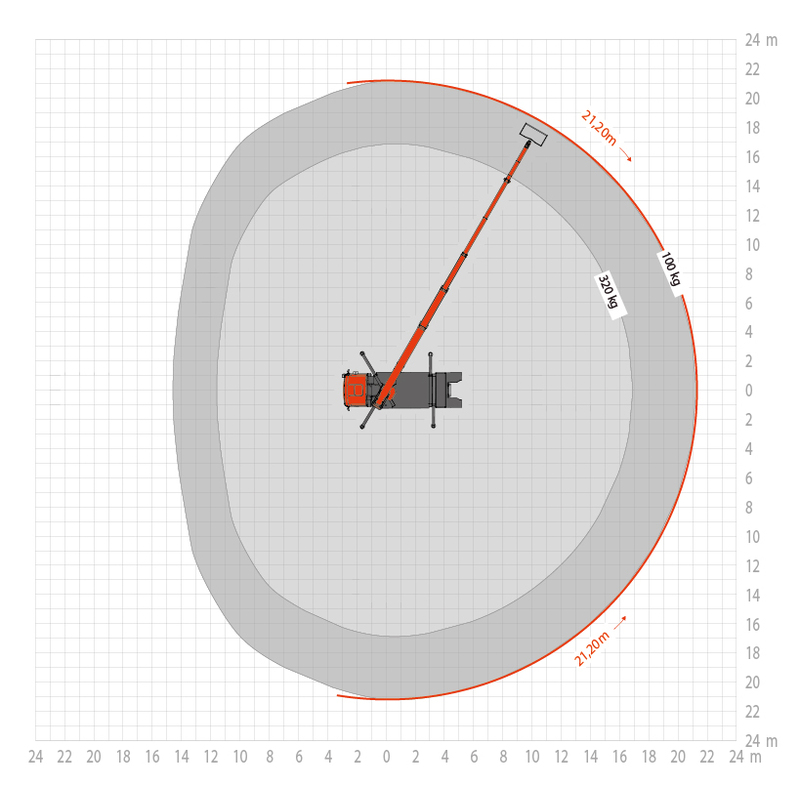 The sturdy 2 x 90° hydraulic cage-rotation device and 185° swivelling range of the jib (RÜSSEL ®) are equally impressive. Maximum manoeuvrability is guaranteed even when working in difficult conditions. The variable horizontal/vertical jacking mechanism with sturdy steel construction permits one-sided, complete or narrow jacking. Positioning at inclinations of up to 5° with automatic range limitations for jacking on slopes, assures easy handling and maximum safety at the job site. These are very important factors when working in cramped city conditions. 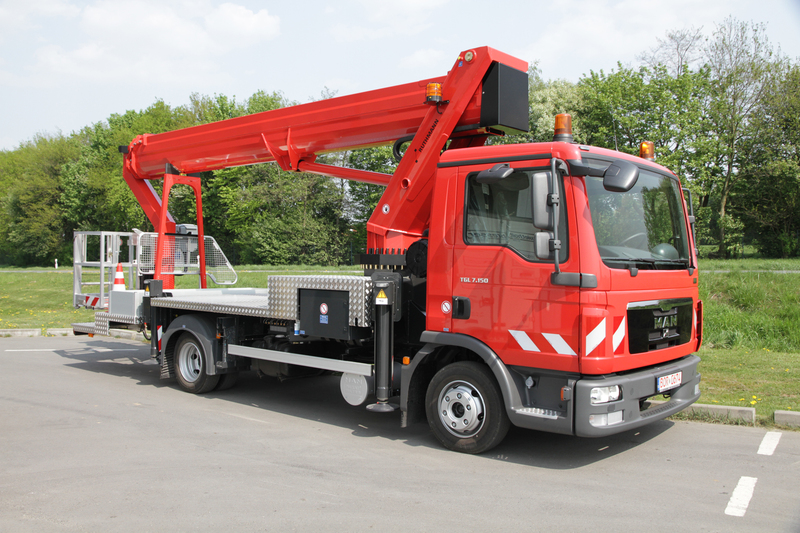 With the T 330, jobs can be carried out very quickly because lifting, pivoting, and telescopic movements can be controlled and carried out at the same time. Please contact us by phone, fax, or email. We would be happy to provide you with in-depth information about the range of services, advantages, and uses of our time-tested STEIGER ® models.